Published on 6 August 2012. Despite having lived together for seven years now, Wendy and I still don’t agree on tooth care! 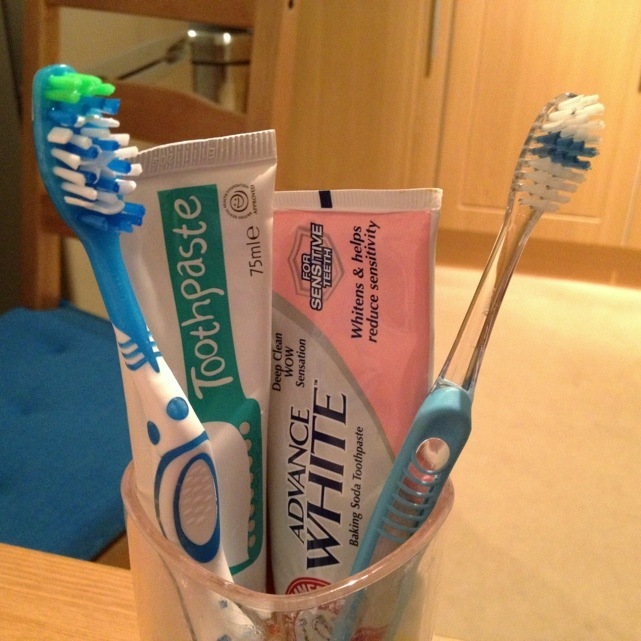 Wendy (on the right) prefers relatively cheap toothbrushes, and more upmarket paste; I (on the left) prefer more costly “hardware”, but cheaper “software”…! I’m sure there’s some kind of detailed psychological evaluation that could be done on the basis of that information…! This 1,755th post was filed under: Photo-a-day 2012.